As you know, we only limit the time of your acu-nap when you ask us to do so. 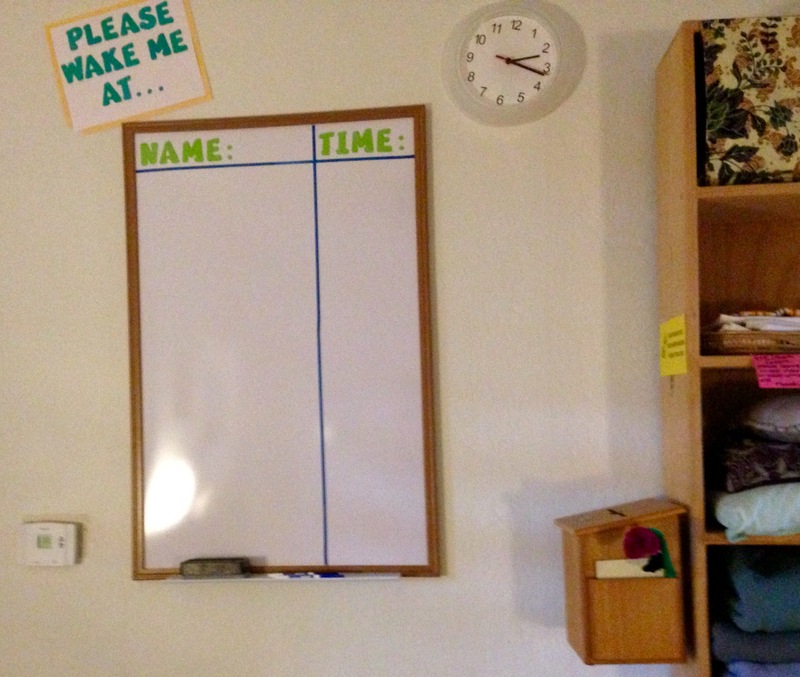 This board is to be used for your wake-up requests. If you need to have your needles removed at a certain time, please take a moment and use the dry-erase marker to note down your first name and last initial and your “wake-up time”. That way the practitioners can easily keep track for you and make sure you are not late!